LIULI chose the crystal glass pâte-de-verre (lost-wax casting) technique as their primary production means. There is a historical reasoning behind their decision; Chinese bronze work from the Shang and Zhou Dynasty was produced in similar fashion. It is this emotional connection to one's country and history that decided LIULI's creative direction after their establishment in 1987. This decision also shaped the modern "Chinese Liuli" industry. At the time of 1987, no one in the world would professionally utilize the glass by pâte-de-verre method except one workshop in France. In the span of three and a half years, LIULI invested immeasurable amounts of time and over NT$75,000,000 money into the research and development of pâte-de-verre. Under the guidance from Loretta Hui-shan Yang, the team worked day and night in the exploration of the technique. Under these circumstances, they were suddenly told that several years prior, a pair of 11.5cm Liuli ear cups from the famed tomb of Emperor Liu Sheng in Hebei Province had been unearthed. Dating back two thousand and one hundred years at least, these artifacts could possibly be China's earliest example of high lead Liuli glass created through the pâte-de-verre technique. This news caused LIULI’s shame and shock. They shame on it because they, being Chinese, were so oblivious of their own history. On the other hand, their shock comes from knowing that they invested so much money into high-tech equipment and research, but just only knew a fraction of what their ancestors two thousand years ago had already mastered. 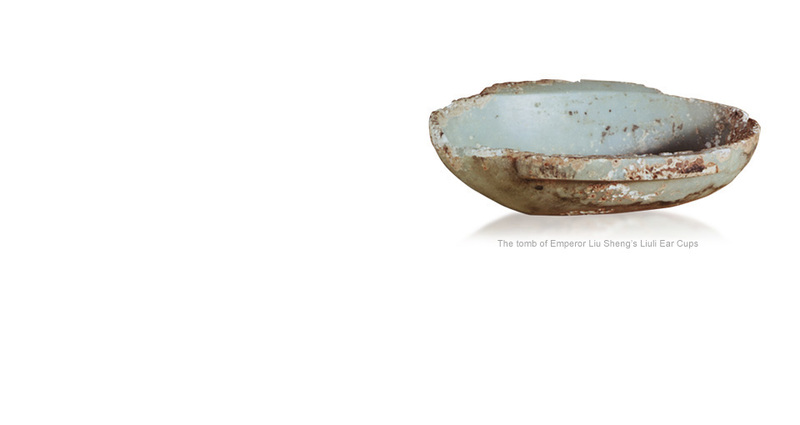 The Emperor Liu Sheng’s Liuli ear cups became a symbol of LIULI's cultural identity and emotion. They also serve to remind LIULI that creativity and education will never cease. LIULI creates art in the name of a national and cultural craft restoration and to pay homage to history. Just as LIULI re-discovered the Liuli ear cups, they employ the pâte-de-verre in this modern environment and hope to create a flourishing Liuli revival.